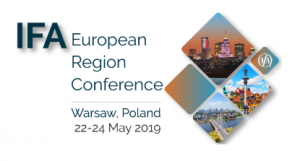 we are happy to inform you about the the upcoming IFA European Region Conference 2019 “Current challenges to income and VAT taxation” to be held in Warsaw, Poland, on May 22-24, 2019. The conference will focus on current issues and future trends in international taxation. The sessions will concentrate on the newest developments in the regulatory environment resulting from BEPS and ATAD implementation as well as local attempts to prevent tax evasion in income and indirect taxation. It will also deal with the practical adoption of the MLI in bilateral double taxation treaties on selected European cases. We are looking forward to see you in Warsaw! © 2019 Ifa-hungary.org. All rights reserved.